I help solve problems and generate ideas to do with strategy, products and services, by asking lots of questions, sketching lots of conversations and concepts, and teaching others techniques of visualisation, design thinking and research. I’ve written a book called Presto Sketching, and I write occasionally on my blog and on Medium. You can also find me on Twitter, LinkedIn and Instagram. 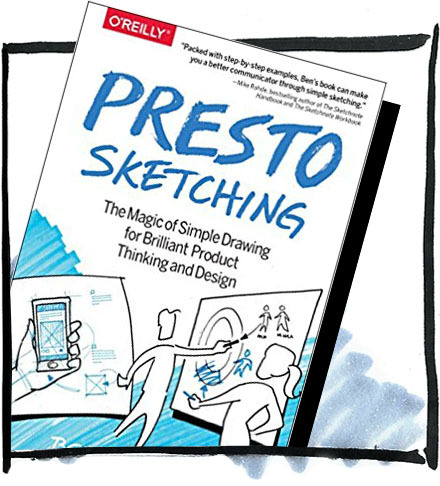 Buy the book, and catch up on loads of sketching tips, tricks and techniques on the Presto Sketching website, to help you explore problems better, explain concepts better, and generate ideas better. I currently work at Atlassian as Principal Designer. 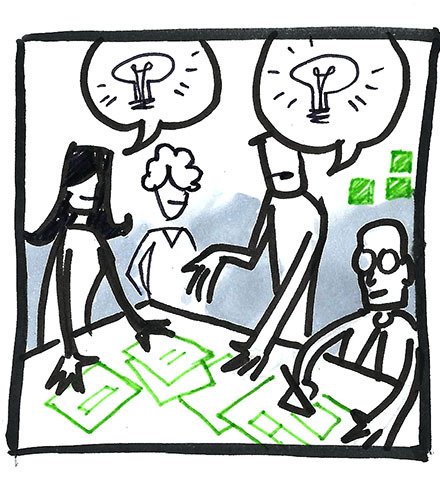 I facilitate strategic discussions, workshops and design sprints to help designers and product managers focus on the right problems and think up better solutions. I regularly teach face-to-face classes at General Assembly, and online on the O’Reilly Safari platform. I also do one-on-one and team-based mentoring and coaching. 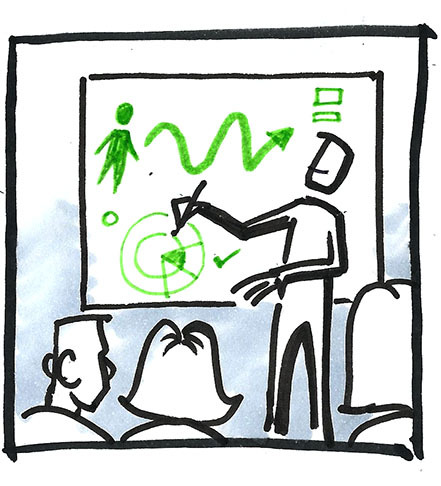 I regularly speak and run interactive workshops on topics to do with sketching, visual thinking and visual communication, Design Thinking mindset and methodology, agile teamwork and transformation, and designing organisational culture.